Six Sigma DMAIC seeks to improve the quality output of a process by identifying and removing the causes of defects and minimizing variability in manufacturing and business processes. As you certainly already know, constant improvement should be a goal for any organization. All businesses have a set of processes that dictate a large degree of their day-to-day activities, and improving on those processes over time is one of the best ways to lead an organization to the top. The business that is simply satisfied with how they are doing currently is one that will struggle to keep up with the competition. There is always room for improvement in the eyes of a successful business leader. Improvement is at the heart of what Six Sigma is all about. Process improvement is the goal when Six Sigma is used, and this set of tools has grown over the three decades or so to become one of the most-important concepts in business. 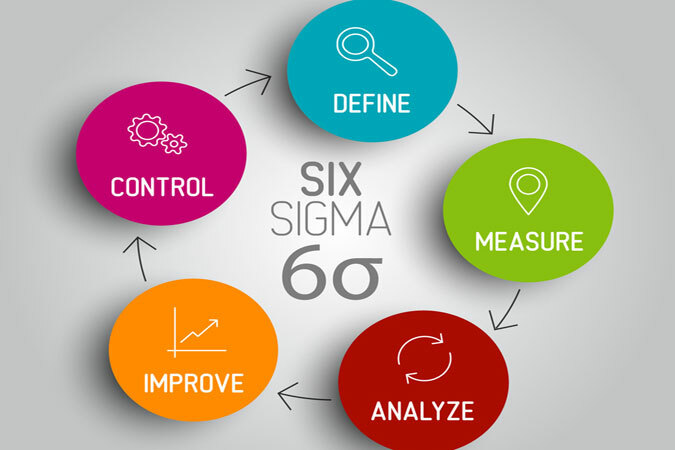 Countless organizations have used Six Sigma to improve on what they do, and it is a key idea for any professional to understand. Statistical analysis is rooted deep within the background of Six Sigma. At is heart, this is a statistic method that strives to cut out variables from any process in order to improve performance and consistency. One of the keys to Six Sigma is creating processes that are as stable and predictable as possible. While this is easy to think of in terms of manufacturing, it can apply successfully to just about any business model. When a process in undertaken with the goal of creating a certain output, the organization should strive to successfully reach that output as frequently as possible. If there are too many errors, or defects, within a process, the company will be wasting resources and opportunities. Within Six Sigma, this concept is often represented as ‘defective parts per million opportunities’, or DPMO. 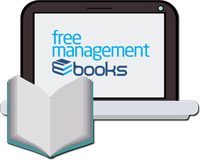 Using DPMO is a way to track how many mistakes are being made within a given process. A mistake or ‘defect’ can be defined in any way that is relevant to the organization and the process at hand. For physical manufacturing, it may be that a defect is a final product which rolls off the assembly line and doesn’t pass a quality inspection. Of course, that is just one example – a defect for the purposes of Six Sigma can be defined in any number of ways. To achieve Six Sigma, a process must have no more than 3.4 DPMO. In other words, no more than 3.4 defective parts must be discovered per million opportunities. At first, this can seem like quite the intimidating number to achieve. However, that is the point of the Six Sigma approach to production. Constantly refining the process until it is highly effective and efficient can create a path toward long-term success. In order to use statistical analysis in a productive manner, the business must be using processes that can be measured in the first place. It is impossible to determine how many defects per million are occurring if the process has not be structured in a way that lends itself to measurement. Therefore, the Six Sigma approach has to be adopted throughout an organization so that the processes being used lend themselves nicely to the statistical analysis that will be done later on. Ongoing analysis of the measurements provided by each process can be done to achieve the constant improvement that is at the heart of what Six Sigma hopes to achieve in any organization. When it comes to running projects within a Six Sigma framework, DMAIC is one of the most-popular methods to put into use. It stands for Define – Measure – Analyze – Improve – Control, and those five steps highlight the way in which a project should be undertaken. DMAIC is intended for use on projects that are trying to improve a current process within an organization. Define. This is the beginning of a project where the goals are being outlined and properly defined. What is going to be required by the end customer? What methods are going to be used to help reach the ultimate goal? Clear definition of a project is crucial to its success. Measure. At this stage, the goal is to measure what the current process is doing so problems can be discover that can be solved later on. It is impossible to improve on something without knowing what its strengths and weaknesses are, so measurement is necessary before moving on. Analyze. Once there have been weaknesses identified within the process, the analyze step is meant to provide an opportunity to attribute cause to the defects so that they can be fixed. The data that has been collected should be carefully analyzed to be sure that the right cause and effect relationships are determined. Without taking the time to analyze what has been found, the possibility exists that you could go on to try solving a problem that didn’t exist in the first place. Improve. Now is the time when all of the measurement and analysis can be put to use in actually fixing a problem or defect. Once solutions to the problem at hand are discovered, pilot tests are often done to test the solutions on a small scale before rolling them out fully. Control. The new and improved process will still need to be monitored and tracked going forward to make sure it is as productive and effective as you hope. Of course, there will likely be more defects and problems to fix down the line, which is why the concept of Six Sigma is really a never-ending approach to long-term improvement and optimization. 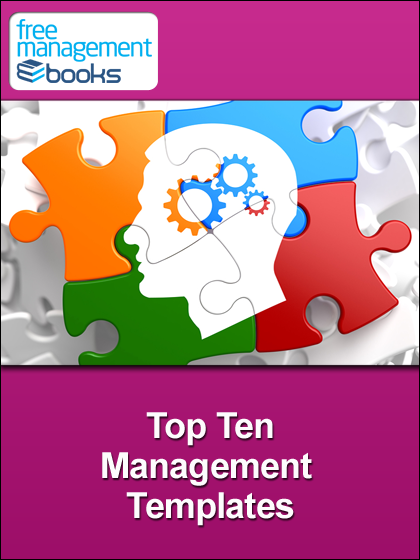 The concept of Six Sigma is vast and far-reaching, and the information above only touches the tip of the iceberg. Six Sigma applies to a wide range of organizations and is used by many of the biggest companies in the world. For any business leader, manager, or owner, understanding the tools and techniques that make up Six Sigma is certainly something worth adding to your knowledge base. The Six Sigma DMAIC (Define, Measure, Analyze, Improve, Control) methodology is a roadmap for problem solving and product/process improvement. DMAIC is not exclusive to Six Sigma and can be used as the framework for other improvement applications. Most companies begin implementing Six Sigma using the DMAIC methodology, and later add the DFSS methodology when the organizational culture and experience level permits.